! The world's most tissue preserving disk surgery ! We carry out all disk surgeries endoscopically! 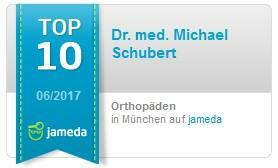 With over 8.000 endoscopic discectomies Dr Schubert is internationally one of the leading and most experienced spine surgeons. (Refer also to NEWS). No big incision or opening of the spinal canal is necessary with this procedure. It is hence a tissue-preserving alternative to the conventional “open” surgery. As there is almost no tissue destruction, risk of scarring is very low. Additionally the intervention is much less cumbersome. Altogether the healing process is accelerated and recovery times are much shorter. The new endoscopic discectomy technique allows us to treat a herniated disk more safely and in a more tissue-preserving way than ever. The most important difference to a conventional endoscopic procedure is the lateral access through the foramen compared to the traditional dorsal access. By this means the nerves that run through the spinal canal remain completely untouched and injuries, adhesions and other complications are hence avoided. Also the intervertebral ligaments that stabilize the spinal column stay intact. As the lateral access allows for a tissue-preserving procedure which is associated with relatively little pain, no general anesthesia is required. How is endoscopic disk surgery carried out? Under local anesthesia an optical endoscope is inserted through a small incision in the skin. It is equipped with tiny working cannulas and is carefully pushed forward to the site of the disk prolapse. The extruded disk tissue can be removed under sight control. Protruding remainders are eliminated by means of a special laser nucleolyser. In certain cases, the gel-like nucleus of the intervertebral disk is shrinked with the aid of chymopapain – a special protein-cleaving enzyme. This helps to disencumber the fibrous ring to support the subsequent healing process. For the revitalization of the spinal disk, abrasion of the calcified vertebral bone by means of minute instruments is done. This leads to a better blood supply in the disk tissue and a firm and stable fibrous ring can develop. The intervention takes 30 to 45 minutes. The animation video shows how endoscopic disk surgery is carried out. The intervention takes 30 to 45 minutes. The entrance point is aseptically covered with a small patch. Patients are subsequently monitored for 2 hours in the recovery room. With good general condition out-patient surgery is possible. The next day and then again after three months there will be follow-up examinations. Not all endoscopic surgeries are the same! The big difference between our surgery technique and other endoscopic surgeries – which is also its main advantage - is the point of entrance. Whereas in our clinic the herniated disk is accessed laterally other techniques enter from the back. The lateral transforaminal access is much more tissue-preserving than the dorsal access as it leaves the nerves and ligaments unhurt and can be done under local anesthesia. !!!!!!!!!!!!!!!!!!!!!! Outcome strongly depends on the surgeon's experience !!!!!!!!!!!!!!!!!!!!!! Most other endoscopic disk surgery techniques also use the transforaminal access (lateral opening for nerve exit), however the primary target is the disk itself. By removing healthy disk tissue a volume loss is created (vacuum). This shall lead to a retraction of the prolapsed tissue back into the disk space with an associated decompression of the pinched spinal nerve. In many cases this is successful. Procedures with a similar philosophy are for example the tissue shrinkage with laser, chomucleolysis, injections of alcohol or suction of disk tissue. Success rates of these procedures are rather low and associated with a risk to accelerated degeneration and instability. The technique used by Dr. Schubert at the APEX SPINE center aims at directly and safely removing the herniation that pinches the nerve - regardless of its localization or size. The natural condition of the disk as well as mobility and stability of the spinal segment are fully preserved. With the dorsal entrance point always the ligamentum flavum must be “sacrificed” and the nerves must be retracted to one side. This is associated with a considerable risk of injury. Furthermore the intervention has to be carried out under general anesthesia – otherwise patients could not tolerate the pain. There will be a follow-up examination the day after the intervention. Additionally a physiotherapist will explain to you an individually targeted rehabilitation program. During the first two weeks you will have to put on a specially fitted plastic corset, which sustains your back and will soon allow for resuming daily activities. It is recommended to start a professionally supervised physiotherapy after one week. After 6 weeks, strengthening exercises for your back and abdominal muscles should be started. Simultaneously you might gradually resume your sports activities. For further reading on the postoperative care after a discectomy you may want to download our brochure “postoperative care”. When may I resume my sports activities after my endoscopic discectomy? After about three weeks you should be able to go swimming or to ride your bicycle. Your may resume your usual sports activities after 6 weeks. When can I go back to work after my endoscopic discectomy? After one to two weeks you can resume simple office work and slight physical work. You shouldn’t do any hard physical work during the first 6 weeks and then only gradually increase. What is the success rate of endoscopic discectomy? Success rates strongly depend on the experience of the surgeon. I In the international scientific literature success rates of about 90% are quoted. In our own stastical evaluations for endoscopic discectomy we found a success rate of 95%. Patient is in full anesthesia. Danger of nerve damage from surgery. Surgery is carried out in local anesthesia and concomitant sedation. The patient is under constant surveillance. Nerve damages are hence virtually excluded. Patient is in prone position and surgery is done through a 4-8 cm incision on the back. Patient lies on his side. The endoscopic surgery is carried out through a 7mm wide skin incision on the lateral back. The recurrence risk is at about 10 to 17%. There is a high probability of scarring around the nerves. There is also a high risk that healthy disc tissue is damaged or removed. There is only very little growth of scar tissue. Only the prolapsed disc tissue is removed. The recurrence risk is at about 4%. Pain is relatively severe after surgery. There is no or only very little pain after surgery. As a rule return to full activity takes 6 weeks. Two hours after surgery you can leave the recovery unit by yourself. 1 to 3 weeks. Eventually a hospital stay is required already before surgery. 1-2 days. Back musculature has to be detached from the bones in the affected segment, parts of the bone as well as ligaments have to be removed or cut - loss of stability and trauma lead then to continuous pain. The surgeon only removes the disturbing disc tissue without damaging or removing surrounding structures like bones, ligaments or muscles. Hence an instability or the growth of scar tissue around the nerve is prevented. Resuming sports is possible only after 4 to 6 weeks. Resuming sports is possible already after 2 weeks. Long waiting times are not unusual. In acute cases you can be operated on within 48 hours. !!! 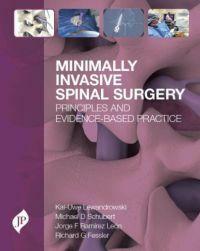 Mobility and function of the spine are completely preserved after endoscopic discectomy !!! The intervention can be carried out under local anesthesia – no general anesthesia is required! In most cases patients are pain free immediately after surgery! Less wound healing pain as well as higher stability, as back muscles are not cut or torn. Little infection risk, as access is through a small cutaneous incision (5mm). Less scarring in the region of the nerve roots! Already after a few days you may resume your usual daily activities. Short recovery times: after one or two weeks you can go back to work, after 6 weeks you may resume your usual sports activities.